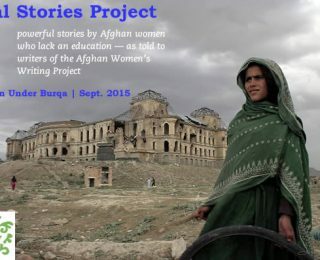 Today we bring you the eleventh in our Oral Stories series from women in Afghanistan who were denied the opportunity to learn to read or write. For this section, AWWP interviewers across Afghanistan asked women to talk about the impact of gender discrimination in their lives. The interviews published here were recorded and transcribed, translated, and edited in English for clarity. I am not allowed to go outside the house alone; I always go with my son or daughter. In our society, being a woman is like not being a human being.